We believe in the transforming power of the Holy Spirit who gives freedom to God’s people. We are creating an environment where people can heal while experiencing this freedom and are encouraged to strive for both, the gifts and the fruit of the spirit in order to be transformed and to bring transformation everywhere they go. We offer a wide range of training programs accredited with the University of the Nations International, aiming to equip individuals with skills, knowledge, character and experience to succeed in life and to be empowered to represent Christ in all spheres of society. We are serving the local community with a variety of transformational ministries aimed to empower children, youth, men/women and families. We are regularly reaching 3000+ children in Worcester through our involvement with schools and different aftercare programs, running our own pre and primary school on campus. We run different feeding schemes, prison ministry, church planting, mentoring groups, counselling, family ministry and much more. YWAM Worcester is launching a series of video-testimonies, Sébastien’s is one of them. Sébastien is from Switzerland and he just finished his YWAM-DTS. In this video he shares a little about his experience during the school’s outreach in Swaziland and Tanzania. Check it out! People who encounter Jesus want to tell others about Him. Christ’s love inspires us to use many creative means to make His gospel understood to any audience – large or small. We use tools such as music, performing arts and sports to connect with people of all ages and develop friendships which can lead to conversations of eternal value. YWAM training teaches you to explore and share your faith. A wide variety of specialized training programs equip students with skills that can be applied in many situations to convey the love of Christ and participate practically in missions. Our introductory course, the Discipleship Training School (YWAM-DTS), is offered in many nations and languages and is a unique opportunity to focus on building your relationship with God and discover new opportunities to work with Him. If you believe it, you have to live it. YWAM Mercy Ministry teams follow Jesus’ example of compassion to those in need. We operate relief and development programs in over 100 countries, working among people living in desperate circumstances. Our volunteers serve in areas such as agricultural assistance, health care, micro enterprise development and with women and children at risk. Their goal is to ease suffering and provide hope for those affected by poverty, disease or injustice. 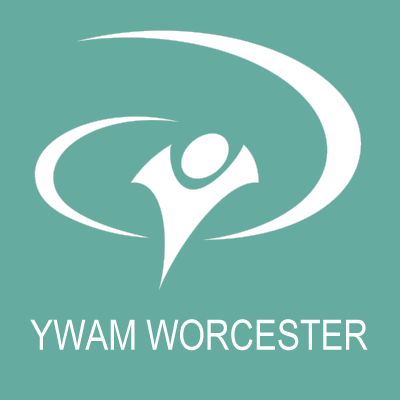 Find out what is going on with YWAM Worcester! You are welcome to come in for a visit and meet some of our school or ministry leaders. Please, organise an appointment beforehand.